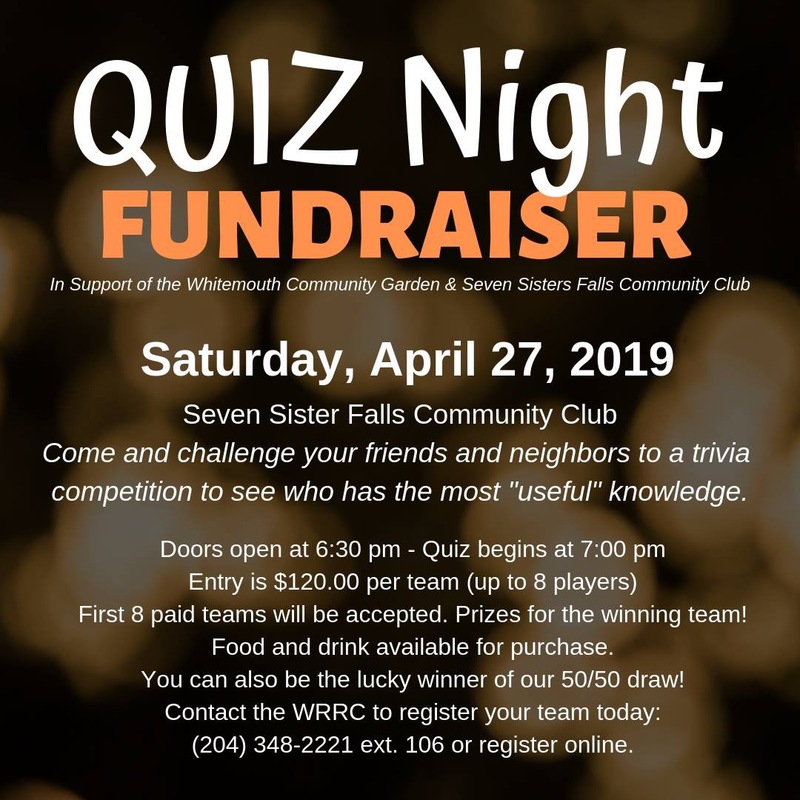 Join the Seven Sisters Falls Community Club and the Whitemouth 4-H Club for a fun-filled evening of trivia! Proceeds will be going to the Seven Sisters Falls Community Club for facility upgrades and the Whitemouth 4-H Club for their development of a community garden this spring! Local trivia, music trivia, history and more – it’s all relevant in this game! Saturday, April 27, 2019 at the Seven Sisters Falls Community Club. Teams can be made up of 6-8 people. Cost per team: $120.00 ($15.00 per person for team of 8). First 8 paid teams will be accepted. Can’t find enough players to make a team? Contact the WRRC and we’ll add you to a team!